TeamFourStar! How I love you! I'm sure, I don't really need to speak about how great this Abridged is! Though, yeah, I'm talking about it regardless. Personally, I've watched their videos over 9000 times!!! Haha, I'm sure it's not that many times but I'm sure it's pretty close by now. Yes, I re-watched their videos all the time. I'm even watching it right now while I'm typing away at this very moment. Not kidding! Anyways, let's me talk about how much I love them! Finding them on youtube was the greatest thing ever for me. I love Dragonball Z and I love to laugh so it was a win, win! The cast does such a great job it keeping in character and sound so much like the same voice actors (or close enough) to the ones in Funimation. Can't say it enough, I love teamfourstar so much! Everyday, I keep throwing lines of their videos to Chuck and we both have a good laugh over it. It never gets old. Seriously, never does! Man, Do I sound a crazy fan girl…-clears throat- Um, yeah. So to the ones that don't like giving Abridged videos a chance You need to give Teamfourstar a bloody chance! I promised you (most of you) you will enjoy it! 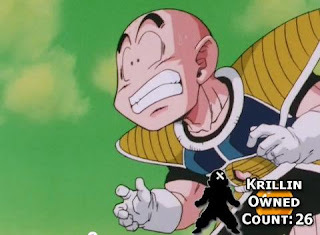 So, thank you TeamFourStar for giving me laughter. You guys are awesome!